We welcomed the guests to our backyard and asked for their autograph on a record. All the records used in this party were handed down to me by my dear Grandmother Joyce. 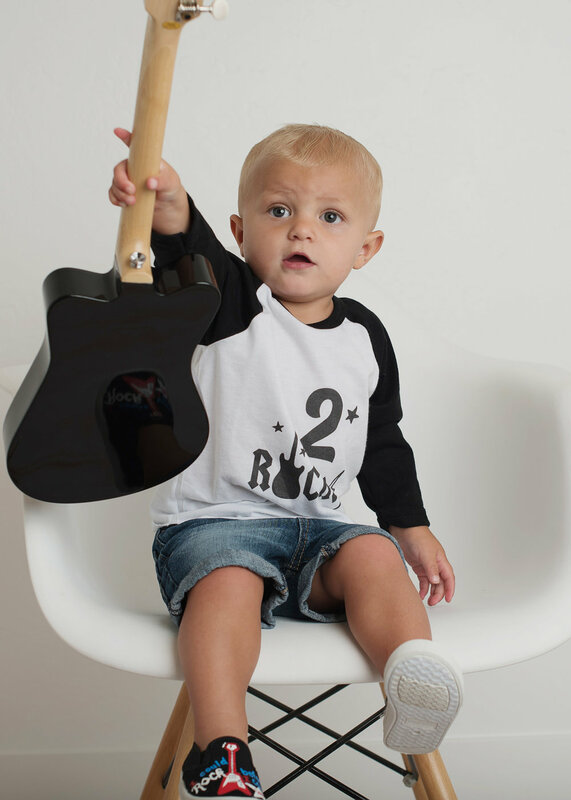 On the invitation we asked each guest to come dressed in their favorite Band or Rock T-shirt. It was amusing to see all the different types of music people enjoy! I displayed photos of Graham from each month during the past year, its crazy how fast he grew and changed. Graham's delicious two tiered Rock Star Birthday Cake was made by Passion Flour. The top tier was FunFetti and the bottom tier flavor was Red Velvet. We also served a build your own Popcorn Bar. I made homemade popcorn and seasonings to top it off. For the "Cheese" seasoning I used nutritional yeast. The Tattoo stand was a big hit! It was fun to see everyones arms and legs filled up with Tats by the end of the party! The main center stage of this birthday party was Grahams very own Bandstand! We had microphones, blow up guitars, and even a few real guitars for the guests to play with. Sean and I complied a Rock N Roll playlist of 96 songs to play throughout the party, and enjoyed watching the guests have a sing off during their favorite rock songs! Our activity station for the children was a fun paper Guitar cutout for them to decorate! 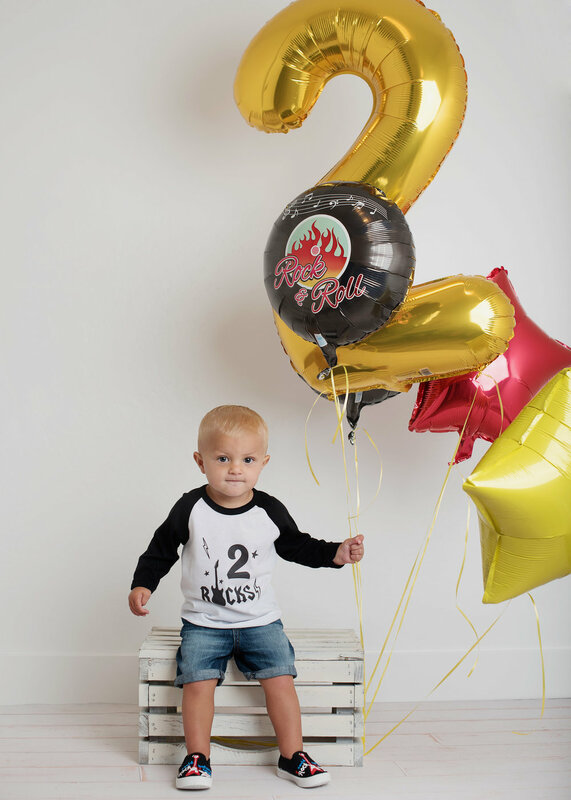 No other party theme would have done for this little boy! 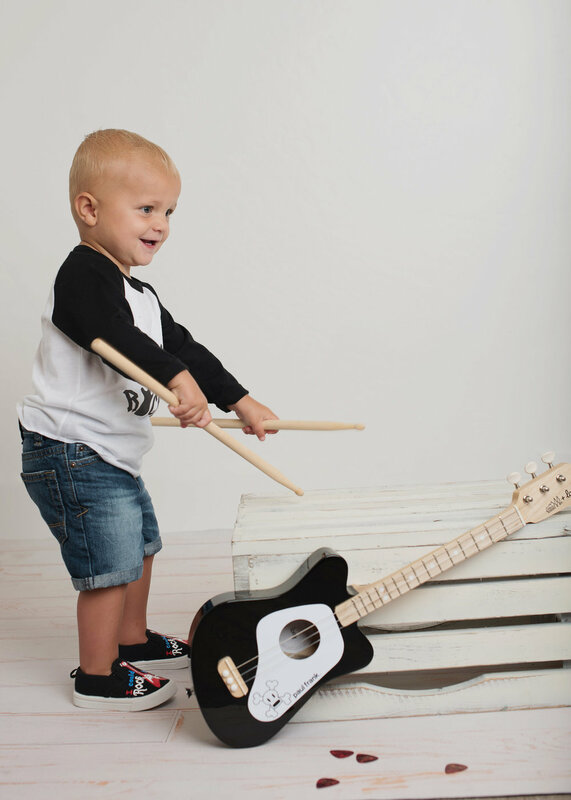 He loves to rock out to music and dance his little heart out! 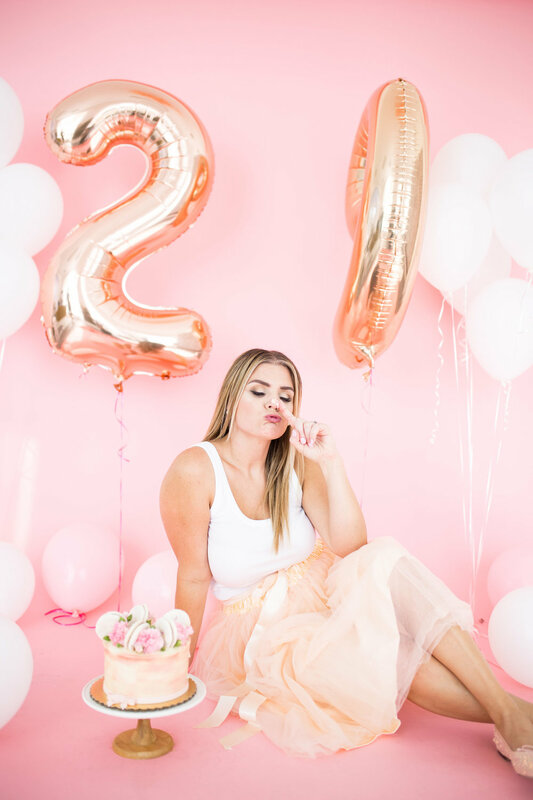 I had a fun time planning this party and when the time came to put it all together, Kenzie Events helped me out tremendously! 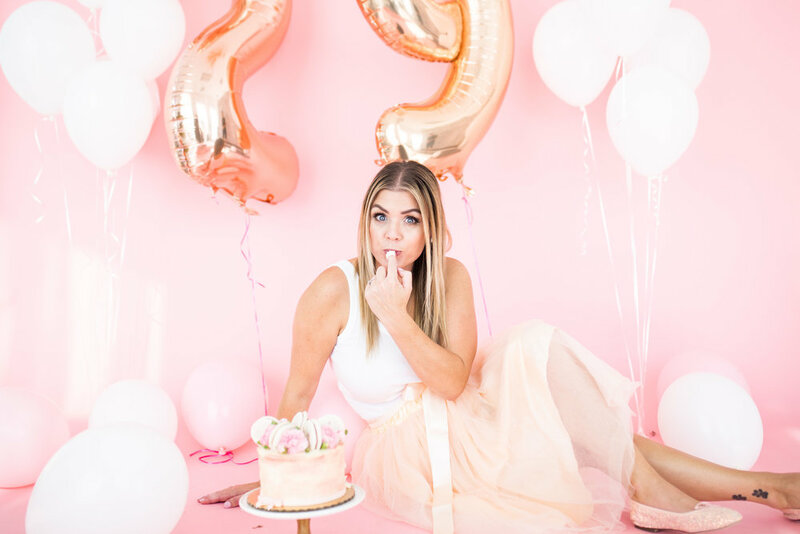 I had never hired a party planner before, and was hesitant at first. As you know, I love hosting and throwing parties on my own. Its my favorite hobby! I enjoy the process of planning, organizng and setting the events up. But there comes a time when you just need a little help, (I felt like I have pushed myself a bit too much this year and needed to slow down) and I am so glad I trusted Kenzie to help me out. I told her exactly what I wanted regarding decorations, food, decor and games. She brought my party to life just how I envisioned it! If you would like to hire Kenzie you can contact her HERE. I hired Lindsey Hurst Films once again to film all of the fun happenings and great dance moves. If you would like to hire Lindsey you can contact her HERE. I ordered Graham's shoes off of Etsy and the lady hand painted the design for me! She is very talented! I am a little late in posting this video.. by a whole year haha. 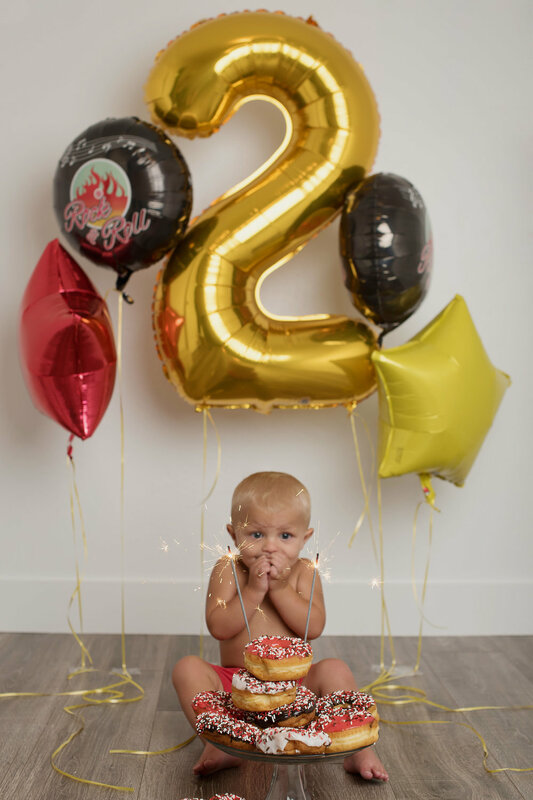 Grahams birthday is tomorrow July 28th! Thank you to Lindsey Hurst Films for capturing such a fun day! I wanted this party to reflect our love of animals and nature. Sean's mom has such a beautiful backyard with the stream trickling down from the canyon, it was the perfect spot to host a critter party! Happy Birthday to... me! 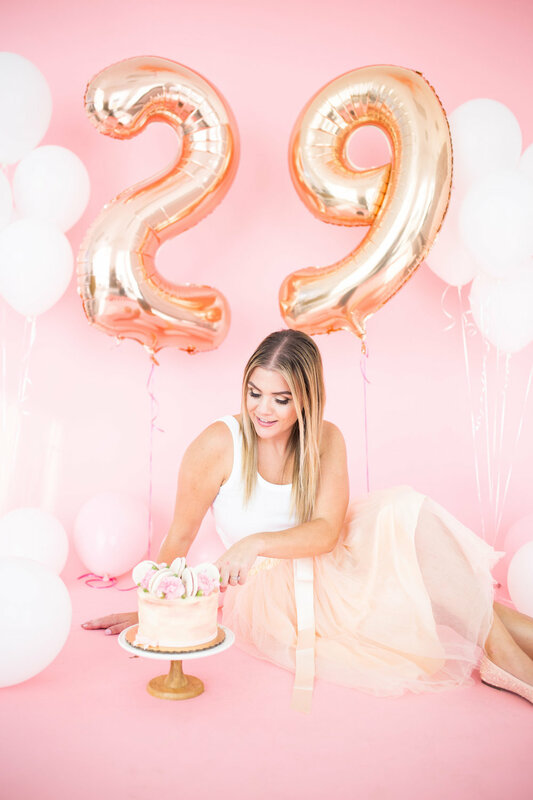 A few thoughts on entering the Final Year of my Twenties! I could look back at the year, but this year has been one of the nine that have created almost a decade of the most transformative years of life. The truth is I believe that the life that happens in your 20’s is the most defining of all. There are huge decisions made about your career, relationships, lifestyle, and ultimately who you will be into your 30’s. The difference between 20 and 30 seems far different than the difference between 30 to 40. All the times people tell you that you can’t eat at 29 the way you are eating at 22 without gaining weight? They aren’t lying. Your “fast metabolism” isn't so fast after four years of pancakes for breakfast. If you are lucky, your mom and dad will still be around. If you are really lucky, you will find yourself closer to them than ever before. If you are the luckiest of all, they will be the two most precious people in your life. There is nothing a margarita, a phone call with your mom, and a night in watching when "Harry Met Sally" can’t fix...even as an adult. Your best years are not over. My best years have happened, are happening now and are in the future. Every year brings so many “bests”! You will find that you have less judgement to give, less comparisons to make and more compassion for every single person and ANIMAL you encounter. As I have realized certain people in my life don’t energize me, but enervate me, I find myself walking away from them slowly and without much attention being brought to it, and learning its okay to let them go. Health is something I have come to value. I still enjoy a good bowl of cookie dough every now and again, but I no longer enjoy how I feel after stuffing my face or skipping my morning exercise. Being a Mother has brought me more joy and happiness than I could have imagined. I now realize that real love isn’t easy or simple. It is made up of laughing so hard you cry, embarrassing dance moves, nit-picking, arguments over nothingness, kisses on the forehead, forgiveness, intimacy, fights, make-ups, home-cooked meals, vacations, anniversaries, pain, ups, downs and everything in between. But that look, that only the two of you share that says nothing and means everything, can still make you weak in the knees and vulnerable beyond measure. Real love is everything! I am lucky to have found mine and married him! As I enter my 29th turn around the sun, my final year in the decade of my 20s, who I am is someone I love, (it took awhile to think like that). I know now, that change is inevitable. I have changed a thousand times and yet I have always held on to the essence that is me. I know myself. Now more than ever. I am so excited for this ride of the life I have choosen. I have been vegan for awhile now but I still want everyone to know that it has truly changed my entire life. I always wish I would have learned about this lifestyle earlier on, but I am so grateful to have discovered it now. It really is not just a diet, it is a lifestyle change that completely shifts your mindset to be much more self less and so much more open minded. When people ask me what veganism is all about, I usually end up explaining what it is by telling them about my love for animals and what the health benefits are. If you are new here, in a nutshell, Veganism is when someone chooses to live their life without eating or using any animal products. You eat a plant-based diet, and you don't use leather, wear fur, or buy products that have been tested on animals. Now a little over a year into Veganism, I am hearing about my friends turning vegan, or trying vegetarianism, or pescatarian, or meatless Mondays and that just makes me so so happy! I have seen a lot of new Vegan restaurants pop up in Utah, which makes for many more tasty meals and meeting friends! It shows me that leading by example is the best way to live and that when you’re happy in yourself and your own decisions then people will follow. But it is important to come from a place of love and not hate when discussing this information because there is nothing negative about veganism. So for my birthday wish... and also for the animals, the planet, and your health consider veganism. 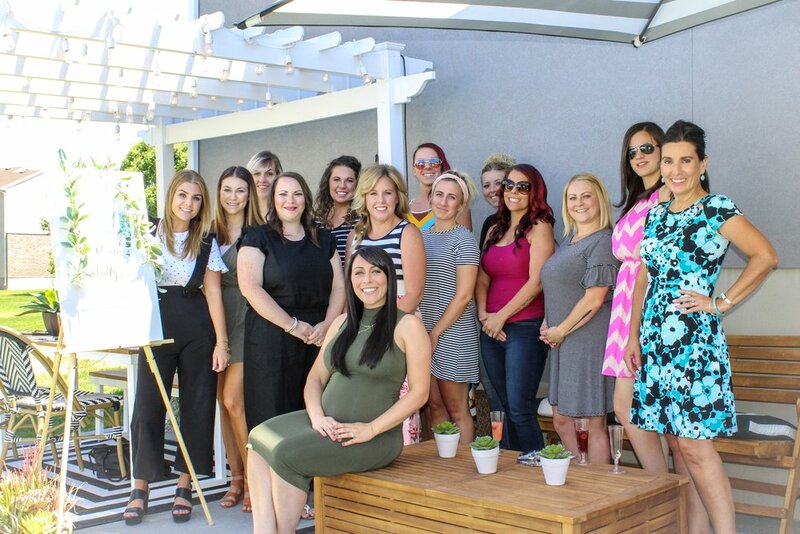 I was very honored to host my dear friend, Shelly's first Baby Shower this past weekend. She is due to have a baby boy in early September, and we can not wait to meet him! 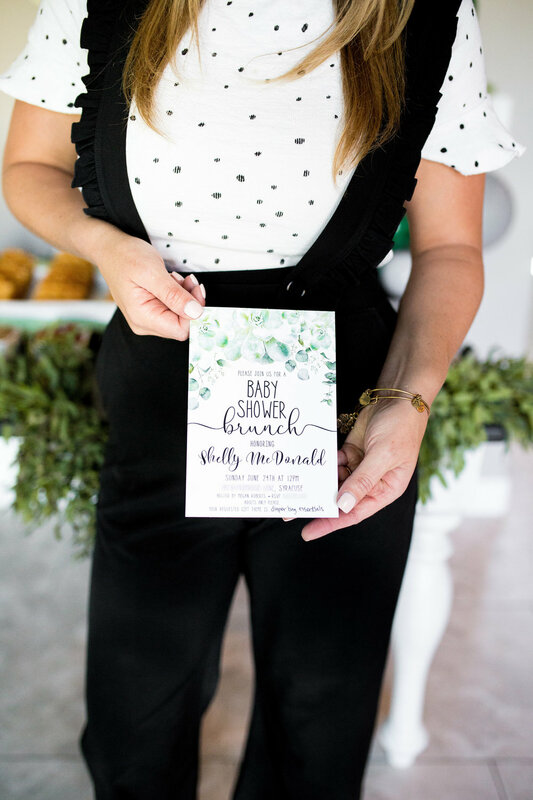 Shelly and I have a love for all things "Succulent," so what better idea to plan a Baby Shower around! 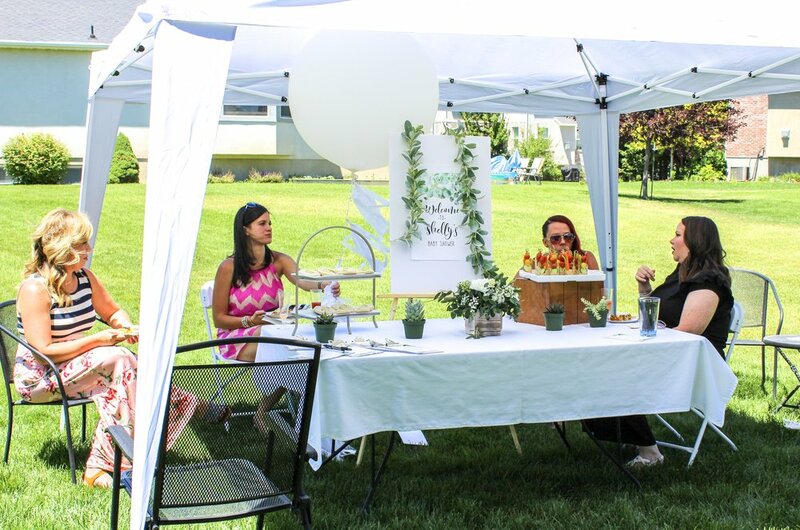 First the guests entered my backyard to enjoy a "Mom-osa Bar" where they were able to choose between champagne or sparking cider. 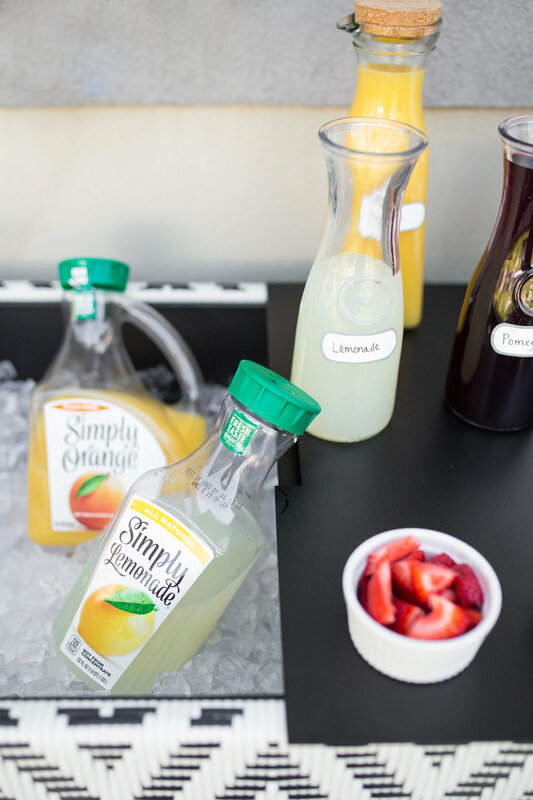 I offered four different types of juices; Orange, Grapefruit, Pomegranate & Lemonade and to top it off they added a few droppings of their favorite fruit. 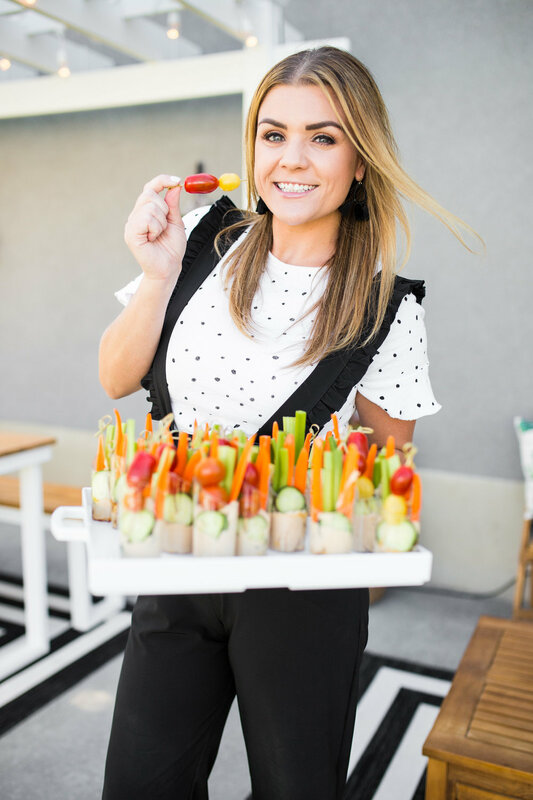 While the guests mingled I had a table of Veggie Shots with Hummus and Vegan Coconut Lime Sugar Cookies for them to munch on while they played a game of "Baby Facts." 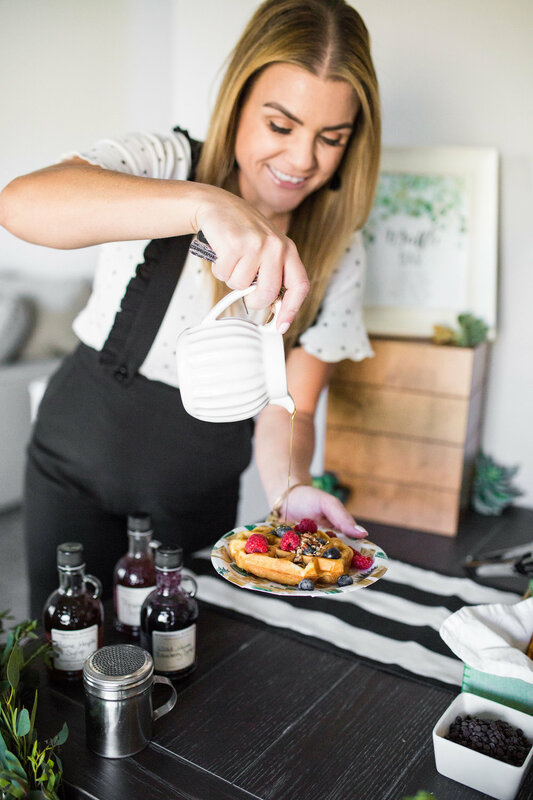 Afterwards we made our way into my home to enjoy my homemade Waffle Bar filled with multiple types of spreads, syrups, fruit, nuts and soy whipped cream! Before Shelly opened her gifts we played one last game, about who knew the most about the future "Mom to Be." Finally we said goodbye, and I handed out mini Succulents for the guests, to thank them for coming and spoiling our dear Shelly. I am so excited to meet baby McDonald this coming Fall! Easter is a celebration that involves getting the family together and putting on a lovely brunch for everyone to enjoy! 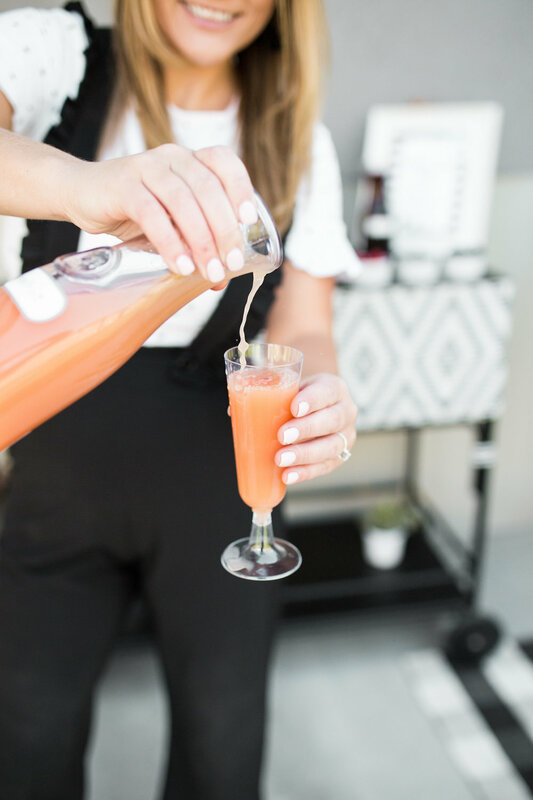 I have some fun and simple ideas for you to use at your own holiday party! Creating a festive Easter tablescape can be quite simple, just a few fresh lilys or daffodils in small vases around your house and a fun banner will transform your party into a real spring fling. Make some delicious parfaits with coconut milk yogurt, and toss in fresh cut up fruit. However you assemble your parfait, they make gorgeous edible centerpieces for a brunch table, and bonus as a healthy snack/dessert! Ingredients: Coconut milk yogurt, vegan granola, bananas, strawberries, and mint leaves. I posted this easy dessert earlier this week, click here to get the recipe. I switched up the traditional recipe and used Trader Joes Cookie Butter instead of regular Peanut Butter! Toss some vegan friendly jelly beans on top and you have yourself a festive Easter dessert! 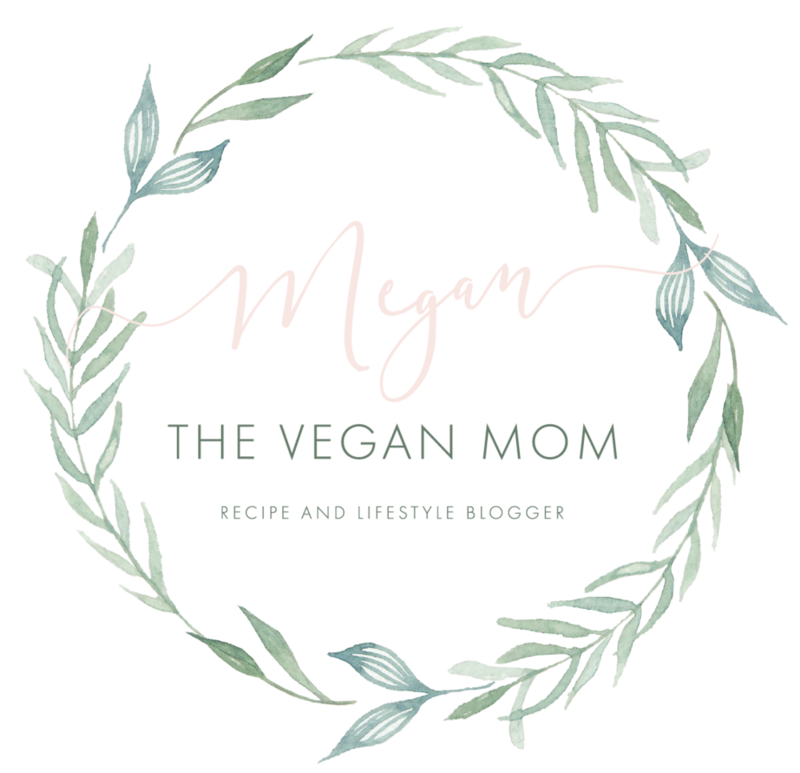 I used the brand YUM EARTH, as they are vegan friendly and do not use beeswax or gelatin. 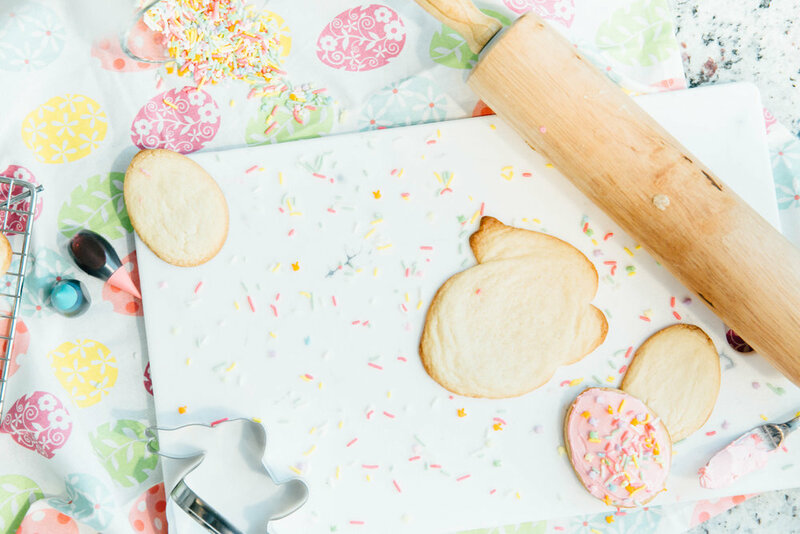 My go to sugar cookie recipe is posted on the blog here. I bought a fun to cookie cutter so I could make eggs and bunnies this year. 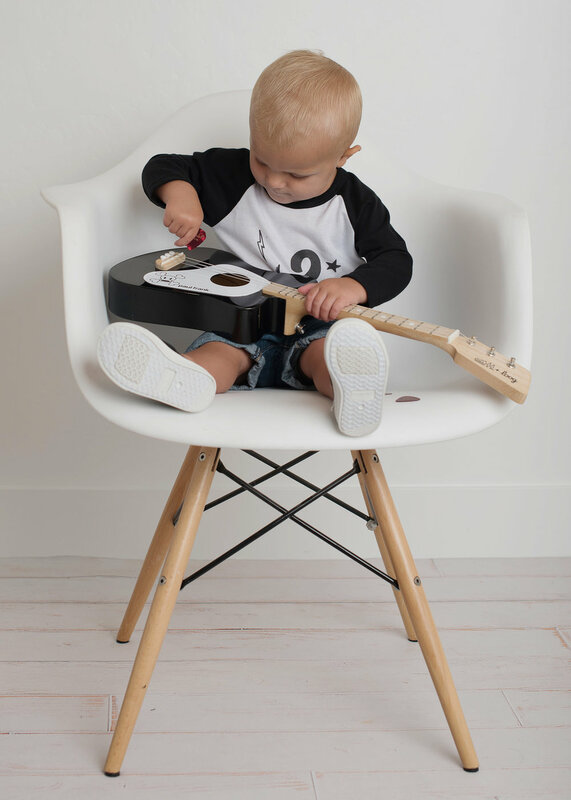 They are cute and make a activity for the kids to enjoy! I love making the frosting with pastel colors because it always look nice on my Easter table. I decided to not make my usual Lemon Poppy Seed Bunt cake, instead I ordered from a local vegan bakery in downtown SLC, Passion Flour. How adorable is this bunny cake and the fresh blooms they topped it with! Everyone was impressed when they found out it was Vegan too! I requested the flavor, Lemon Poppyseed and the frosting was so creamy and smooth! We devoured this cake pretty quickly! 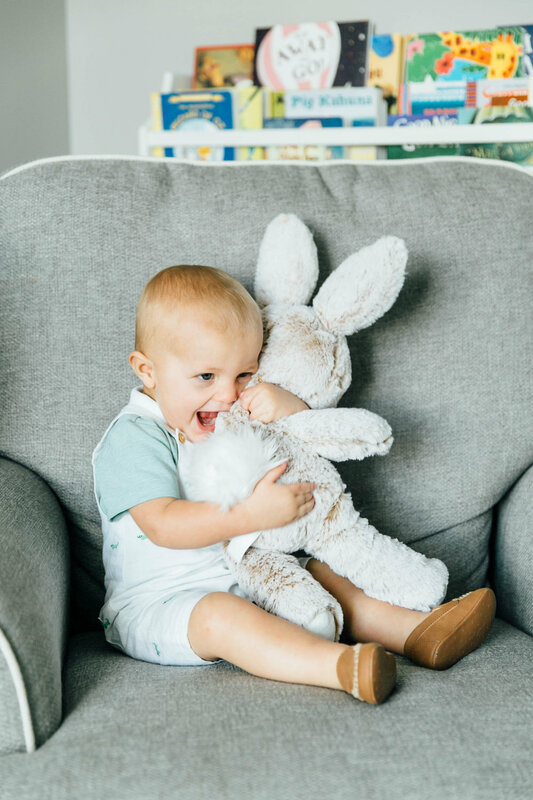 Fill the children's baskets with Easter books, plush bunny, wooden toys, vegan friendly candy (ethical candy) musical instruments, and a festive outfit. Our families tradition consists of waking up Easter morning and having to search the house to find where the Easter Bunny has hid our basket. It has ended up in funny places like the dryer, under the kitchen sink, and in the media cabinet. You might find yourself intimidated to veganize Easter or any food based holiday, but it doesn’t have to be! There are so many options out there that have been "veganized” by compassionate companies. Anything can be made vegan, so you and your family can enjoy a lovely ethical Easter. 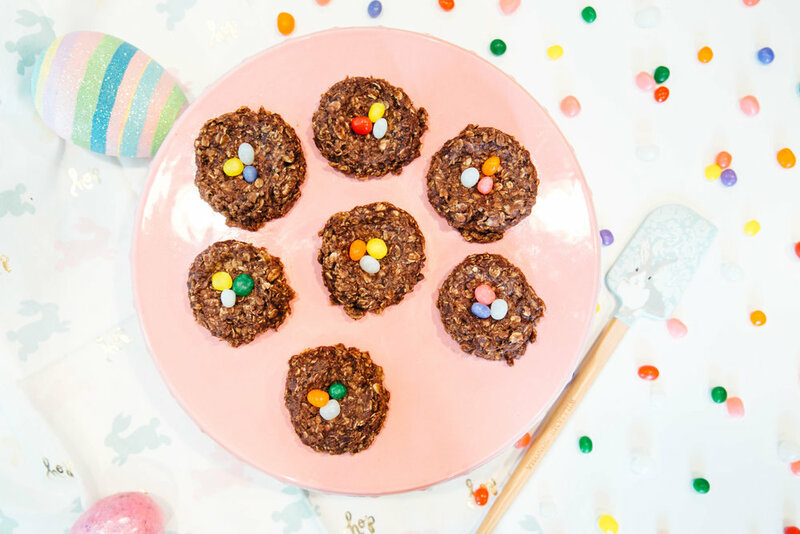 So spread a little vegan love by taking some of your favorite vegan dishes and candies to your Easter Party! 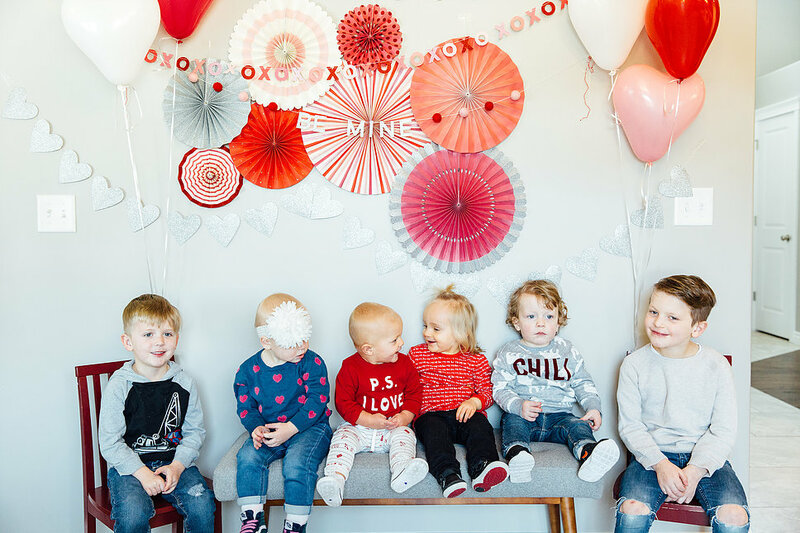 How to host a Vegan Valentine's Day party for kids! It's that time of year... heart shaped candies, red foil balloons, giant teddy bears, and love notes! I am in love with hosting people at my house, and I never say no to throwing a party! One of my favorite things about being a mom is making holidays special. My own mother and grandmother spoiled us on holidays with crafts, festive food, and trinkets. I owe my love of holidays to them, and hope I can make mine just as memorable for my own family. 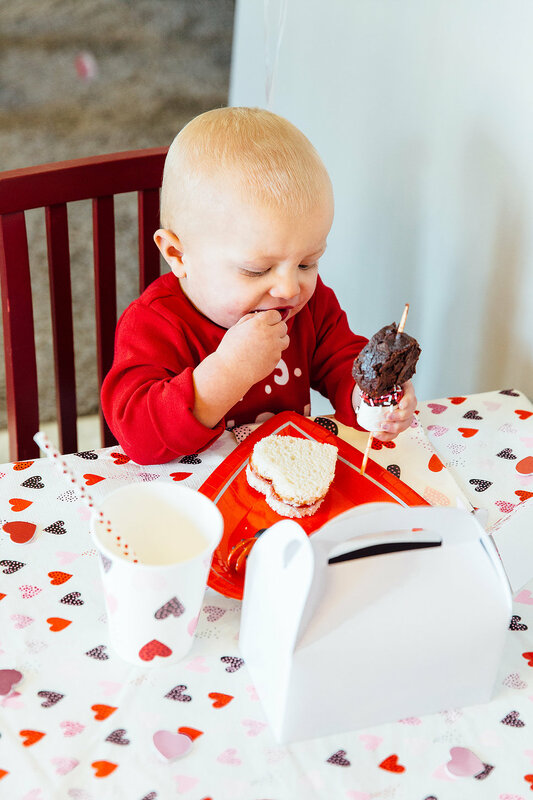 And with that, I couldn't wait to start planning Graham's first Valentine's party! I started off with ordering a customized invitation on Etsy. I then mailed it out to my guests. I prefer snail mail rather than a Facebook or email invite. There is just something special about receiving a physical invitation in your mailbox. 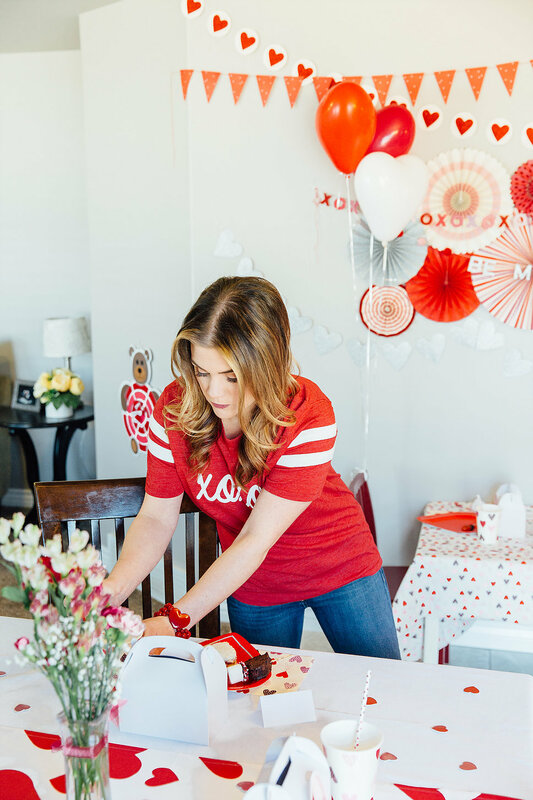 If you have been following me for awhile then you know I love to go all out, and Valentine's is no exception! I am a sucker for cute decorations, they are one of my favorite things to shop for. 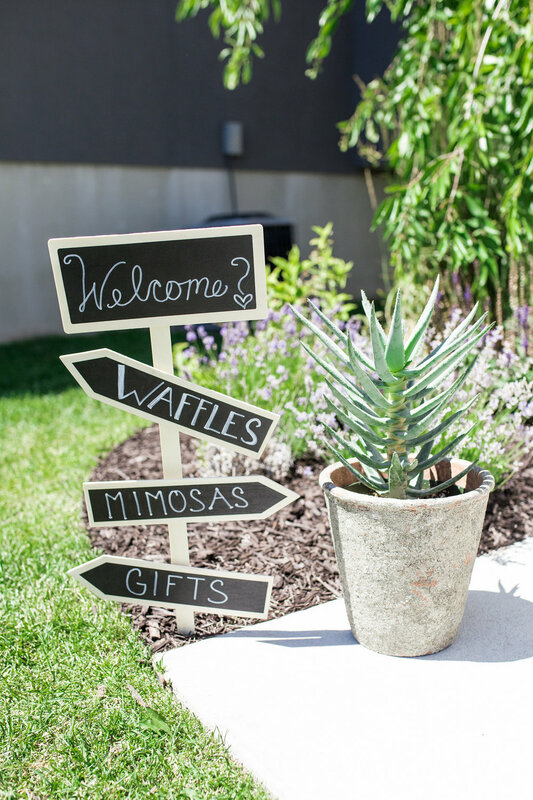 I believe decorations can ultimately make or break your party. I want my guests to see a fun filled space that makes them excited the moment they walk in. There is one thing about Moms that never fails. 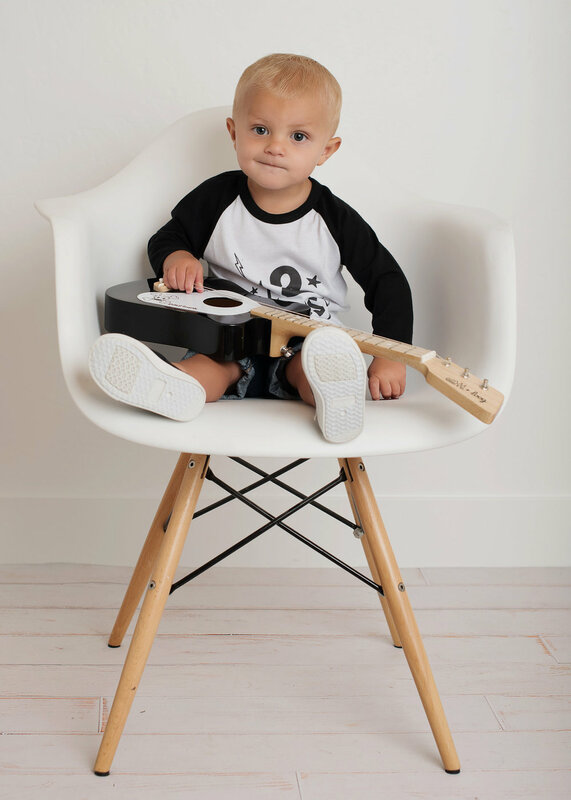 We like to take pictures of our kids, especially at events. We love a good excuse to dress them up and get a picture to post on social media. Thats where the perfect backdrop comes into play. Add some heart shaped balloons and you're all set for picture perfect photos! I had 10 little friends over for the party, so I had the older kids sit at the dining table and I set up two little tables for the younger toddlers. I lined the table with decorative table cloths, flowers, confetti hearts, heart shaped plates, cups and straws. Each guest had their own personalized Valentine box. 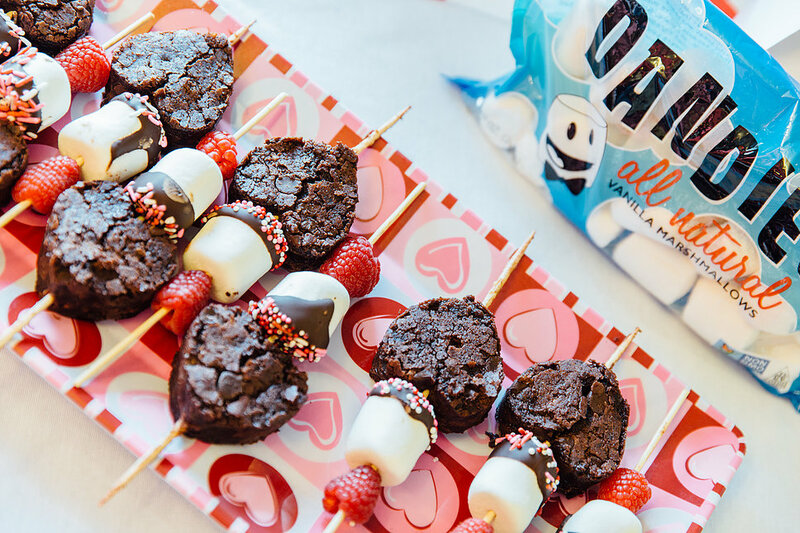 Food and drinks can make your Valentine's Party so much sweeter! I made vegan friendly snacks for the children to enjoy. We had younger children at our party, so finger foods were a must! I made Strawberry Lemonade and cut up slices of fresh strawberries to toss in the dispenser. For the sandwich I made Peanut Butter and Strawberry Jam sandwiches and used a heart shaped cookie cutter. Lady Bug: I created a cute vegetable by making a lady bug out of black olives and grape tomatoes. I purchased The Sweet Tooth Fairy's vegan brownies and brought them home to cut out a heart. I then placed them on a skewer along with fresh raspberries and vegan friendly chocolate covered marshmallows. The kids thouroughly enjoyed their vegan friendly snacks! We even had a few incidents where they were trying to steal each others food. 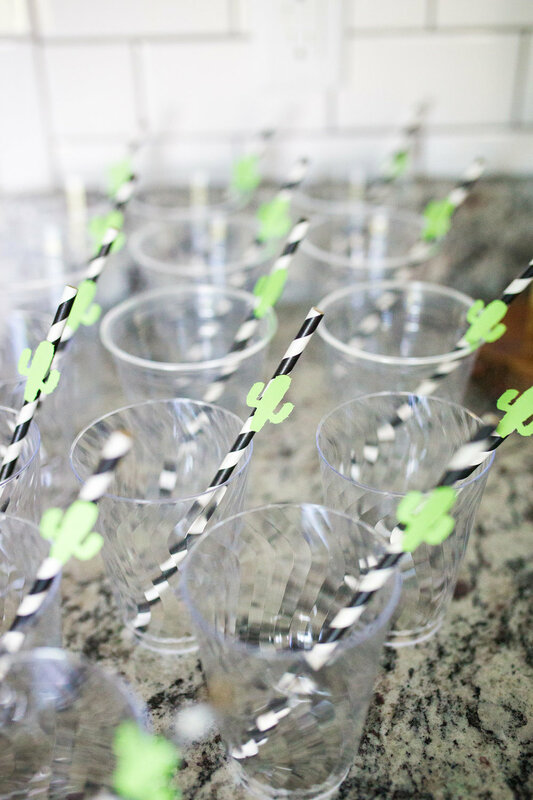 A crafty DIY is a great way to entertain a crowd since the guests also get to make their own party favors to take home. With the assistance of their Moms, I had each child make a homemade valentine for some one special. They chose an envelope, cutout heart, a tag, sticker and string. I love watching kids use their creative outlet while crafting and learning how to write their name. When everyone had a bite to eat and some dessert, we jumped up for a few games. I set up 2 small stations for the children to play at, because lets be honest... 1- 4 year olds can't sit still for very long! 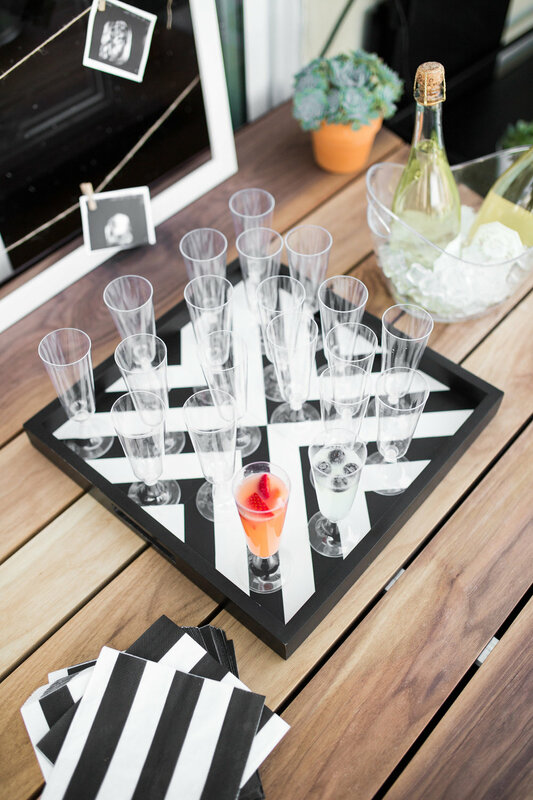 These party games are the perfect way to add a little fun to the party! The children were able to interact with each other and easily play the games on their own. I asked each child to bring Valentines to pass out to their friends. 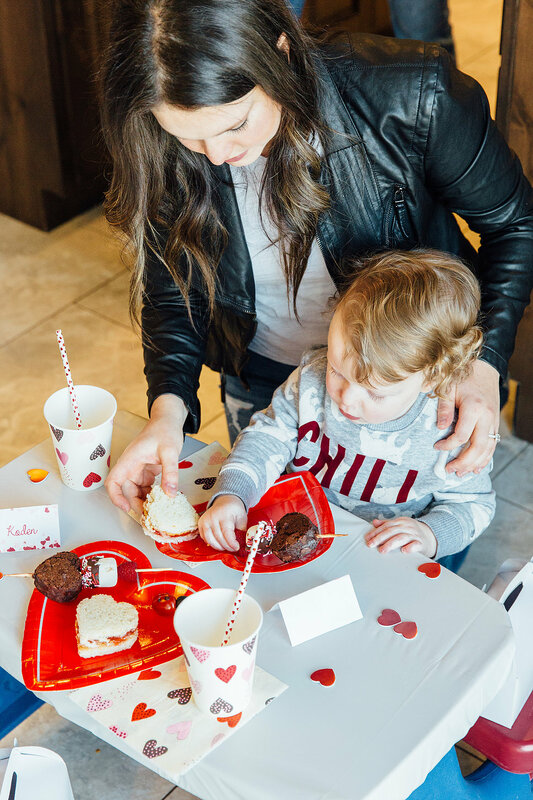 We placed little white boxes with their names on each of their place settings, and the children were able to walk around and pass out their Valentines to one another. Graham passed out vegan friendly fruit snacks with an individually packaged heart shaped crayon. What a lively bunch of little kids we had! It was a blast to party with all these cute little boys and girls! We may have even attempted to amp up the love interest in a few of them... wink, wink! Happy Valentine's Day to you & your little cupid! I love hosting parties at our home, so a rockin’ New Year’s Eve party is what we have going on tonight. 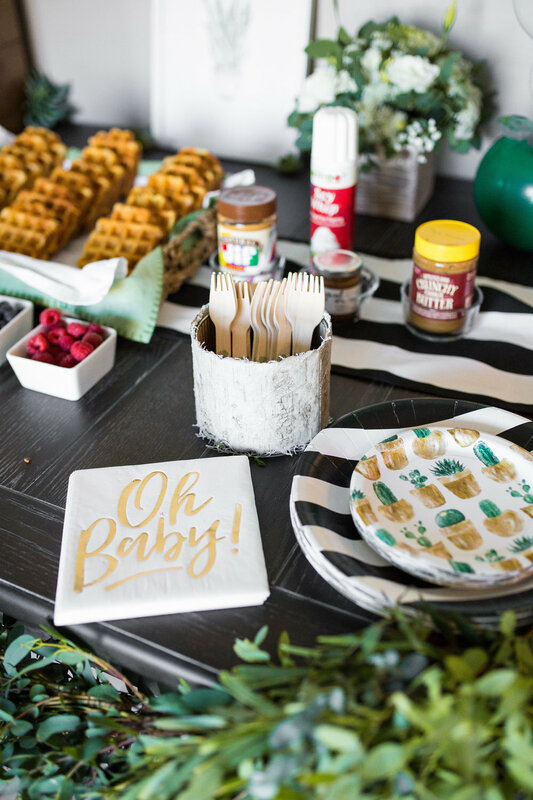 With a little planning and creativity, you can throw an awesome end-of-the-year bash that your friends and family will remember for years. No need to go out and rent a space for your party. Hosting the gathering at your house or apartment is not only cheap, but also more comfortable for everyone, especially the kids! Limit the invite list to close pals. 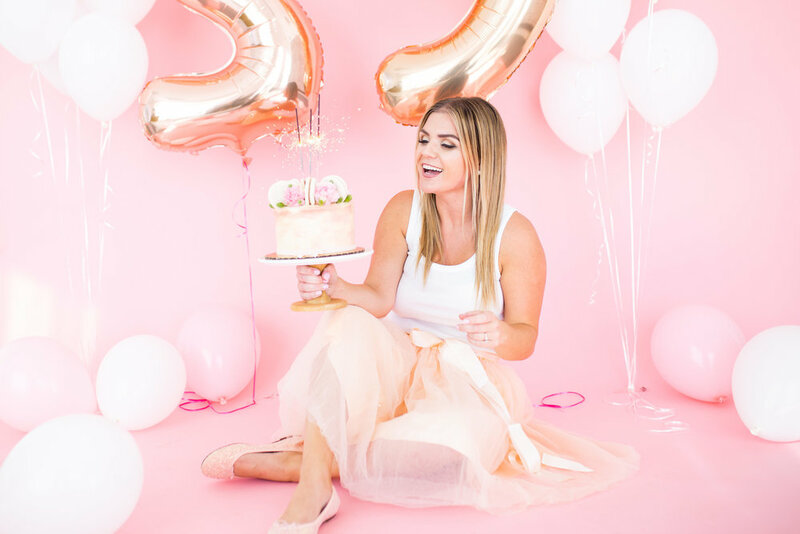 Having a smaller party means, being able to actually enjoy the party and connect with all the guests. Alcohol is one of the biggest items for a New Year’s Eve party. This year Sean and I are creating a signature cocktail for everyone to enjoy throughout the night. For the little ones, I am serving Sparkling Cider and Root Beer. At midnight we will POP the champagne and cheers to the New Year! With the help from My Minds Eye decor, I made up my own Photo Booth station by designating an area for my guests to mug for the camera. 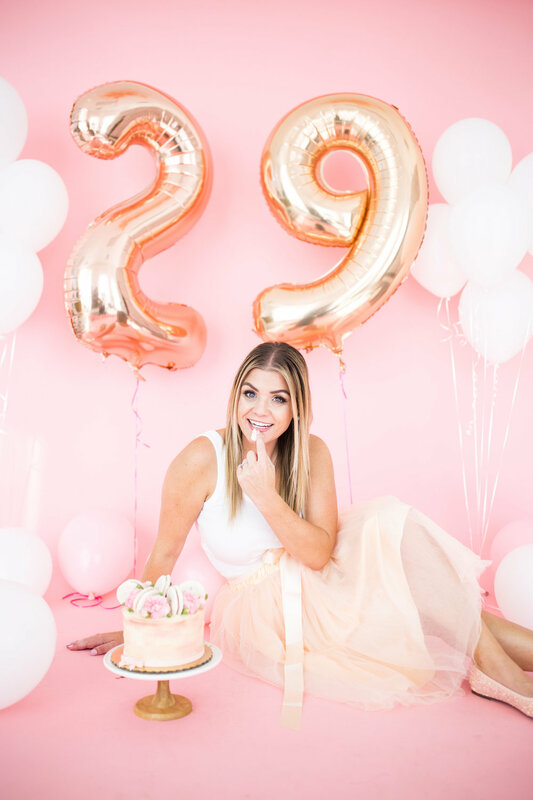 I ordered this adorable backdrop, along with party hats and confetti poppers for my main display. When the guests arrive, I will have them stand in front of this display for a mini photo shoot and then have them write down their New Year resolutions for our game later that night. My house was already decorated for the December holidays, so the festive lights and decor helped make additional backdrops throughout the house. Even if the tree comes down early, consider keeping some lights or other decorations up through the first day of the year. Whether you are staying in comfies and relaxing or getting dressed up and partying, I hope you and your family have a fun New Years Eve! 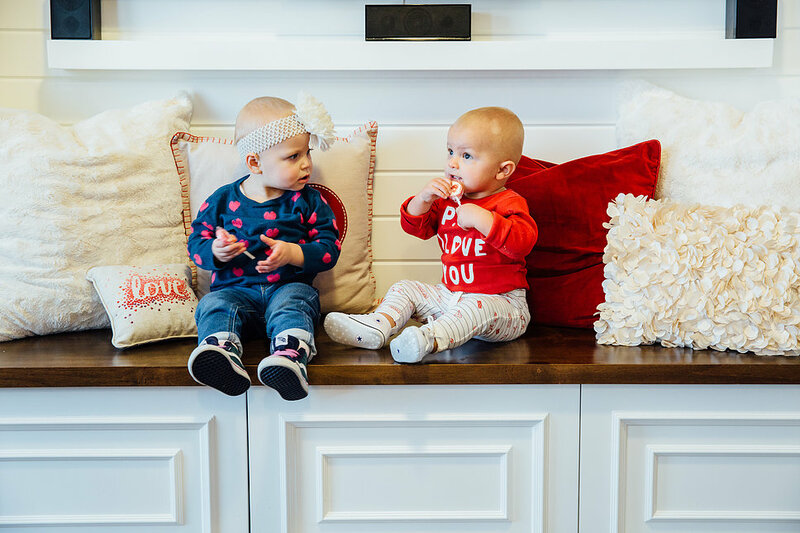 I hosted the cutest little guests at my home yesterday! I wanted this luncheon to be a fun afternoon for the children. Eating kid friendly food and creating seasonal crafts together. Turkeys are incredibly beautiful creatures, with loads of curiosity and personality. They truly deserve to live a happy life. Those long and lovely feathers are just the outside of their beauty. And these beautiful birds are worth celebrating rather than eating on Thanksgiving. I am hosting my first Vegan Thanksgiving this year, and first up is the children's luncheon. Hoping the littles will ease me into the adult Thanksgiving I have in a few days. I have provided a few vegan food options for your children this Holiday season. A meat-free, dairy free, plant-based Thanksgiving is easier than ever! I filled mini tin buckets with washable markers so the children were able to color on the tablecloth. "Welcome to our VEGAN Thanksgiving, a turkey thanks you"
Each child received mini CINNAHOLIC vegan cinnamon rolls and a shot of frosting for their thank you favors. We asked the children to write their name on a leaf and what they were thankful for. "My name is Graham and I am thankful for music"
It was a successful vegan luncheon! We loved watching the children interact and make crafts together, even stealing food off each other plates! I am so glad they enjoyed the food!